My family and I love to eat out, who doesn’t? But even more than eating out, I like to create our favorite take-out dishes at home. One of my family’s favorite things to order out is dumplings and rice. I was excited to create a tasty plant based dish featuring the new Nasoya’s Vegan Dumplings! Nasoya, the nation’s leading brand of tofu, has got you covered with Vegan Dumplings, available in two flavors – Tofu Vegetable and Thai Basil Vegetable. 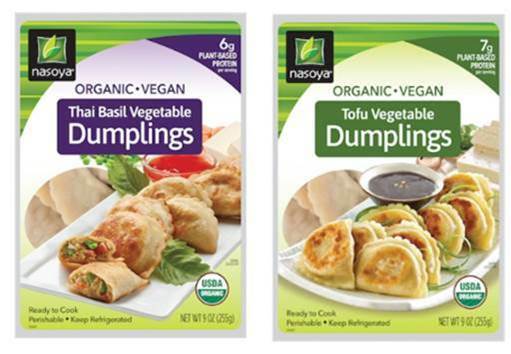 Nasoya’s Vegan Dumplings are USDA Certified Organic and also contain 6-7 grams of plant-protein per serving. That’s right, you can serve up a healthy family meal, that your kids will gobble up, too! Try the Nasoya’s Vegan Dumplings served on a bed of Vegetable Fried Rice. The dumplings are so easy to make, they only take a few minutes to pan fry. The rice is simple to make as well. See the full recipe below! Add veggie broth, onion, garlic, carrots, and mushrooms to wok. Saute over medium heat for about 5 minutes. Add corn and peas (after they have been thawed). Add cooked rice and all other seasonings. If needed, use additional veggie broth to keep from sticking. Continue to stir fry another 4-5 minutes. Remove from heat and serve. 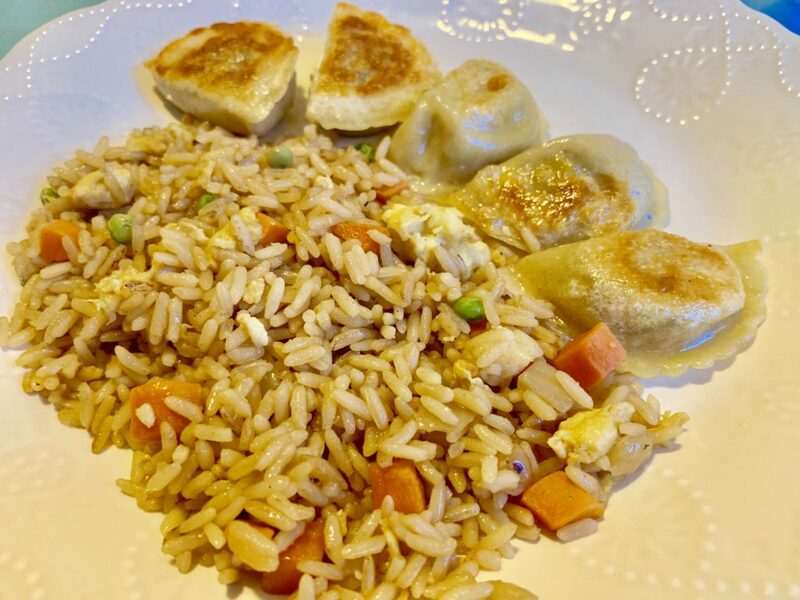 Serve the rice with the pan fried dumplings and you have a healthy, filling, and delicious meal! This is great for busy weeknights. This recipe is both kid and parent approved! 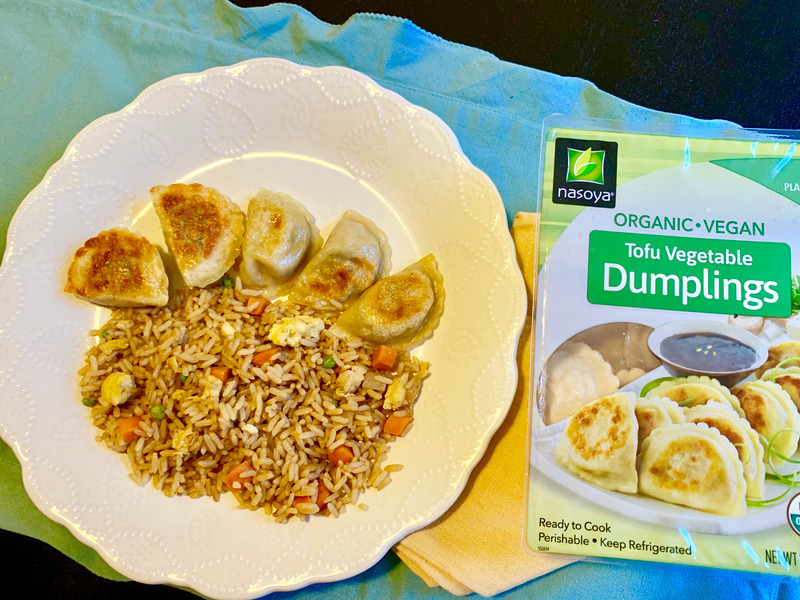 If you make it, let me know what you think 🙂 You can find Nasoya’s Vegan Dumplings at Giant Food, Martin’s Safeway, Weis, Shop Rite, Wegman’s. Want to try them? Download a coupon here! This is a sponsored post in partnership with Nasoya. As always all opinions are 100% my own. Family Friendly Super Bowl Party! « Ploey Activity Sheets & Prize Pack!